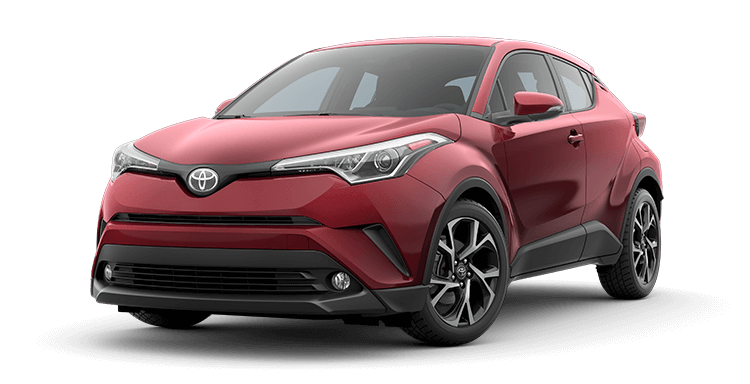 Revolutionary style meets rebellious spirit in the first-ever 2019 Toyota C-HR. Introducing a daring new ride that effortlessly takes center stage. Uniquely expressive, C-HR’s precision-cut lines let it shine from every angle. Agile handling helps this crossover show off its athletic side. The driver-focused cockpit keeps you in command. Best of all, with its standard Toyota Safety Sense™ P (TSS-P) 12 suite of active safety technologies, you’ll get a comprehensive package of safety and cool tech. So embrace and express that bold spirit in the smartest way possible.